A good rule of thumb if you’re going through a divorce: at this time, every thought and instinct you have is wrong. Most divorces I know of are breeding grounds for resentment and bad behavior. The desire for revenge overwhelms most decent and sensible instincts. There are two reasons divorce so often turns out this way: human nature, and legal nature. Lawyers operate in a profession where there is no concept of truth—there is only evidence. And marriage—being a civil contract—has grown to be subject to the usual legal framework—opposing interests, plaintiffs and defendants. Husband meets wife in a court of law, to determine a winner and loser. A worse formula for amicable separation is hard to imagine. Paradoxically, divorces—if navigated well—can be enormous opportunities for personal growth. To retain one’s self-worth, to choose the long-term over the short, to remain magnanimous under stress, and to choose compassion over revenge—these are all higher-order acts. Some initiatives within the legal profession move in a more human direction—in particular, mediation and collaborative divorce. In Keen Interest in Gentler Ways to Divorce, AP reporter David Crary lays out the case. [The Boston Collaborative] analyzed 199 of its recent divorce cases, and found that mediation, collaborative divorce and litigation all produced high rates of successful settlement. Mediation was by far the least expensive option, with a median cost of $6,600, compared to $19,723 for a collaborative divorce, $26,830 for settlements negotiated by rival lawyers, and $77,746 for full-scale litigation. Most of us had that moment where we realize the adversarial process is so damaging for our clients — and there’s a recognition that we can do better," said Talia Katz, a former divorce lawyer who is executive director of the International Academy of Collaborative Professionals. Supporters of collaborative law were dismayed last February, when the Colorado Bar Association declared such arrangements unethical on grounds that they prevented a lawyer from exercising undivided loyalty to a client. But in August, the American Bar Association’s Ethics Committee weighed in, endorsing the collaborative process as long as clients were fully informed about its provisions. People have written that divorce is bad for children; I think it’s the typical divorce that is bad for children. A mediated or collaborative divorce offers the possibility of continued respect between mother and father, thereby not confusing their children for life. 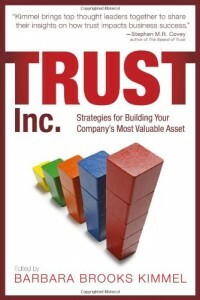 I’ve written elsewhere (Trust in Business: the Core Concepts) that trust can be deconstructed into four components. 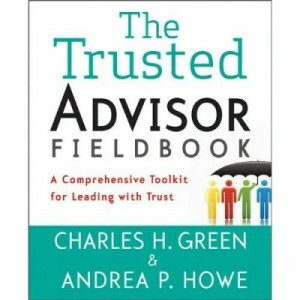 The most powerful of them is a low level of self-orientation of the one who would be trusted. I can think of few things that drive us more toward self-orientation, and therefore untrustworthy behavior, than the whirlpool of divorce—as usually practiced. Sometimes Spouse A suggests collaborative or mediated divorce; yet because of resentment, low trust, etc., Spouse B rejects the opportunity—precisely because it was suggested by Spouse A. Little do they know how much that first sip of poison will infect the rest of their lives. If you know someone who’s getting divorced, urge them—strongly—to read up on mediated or collaborative divorce. If you’re getting divorced, and your spouse has suggested it—thank your stars that the one you used to be in love with still has enough respect for your marriage to consider ending it decently. If you’re the one in a position to initiate it, do yourself and everyone else a huge favor. Mediate, collaborate—don’t litigate.